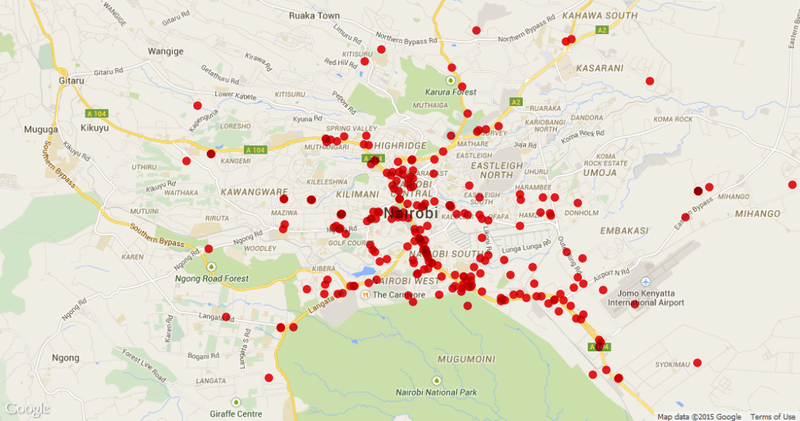 Help Ma3Route Map Traffic Accidents! The most dangerous thing you do today could be crossing the street. 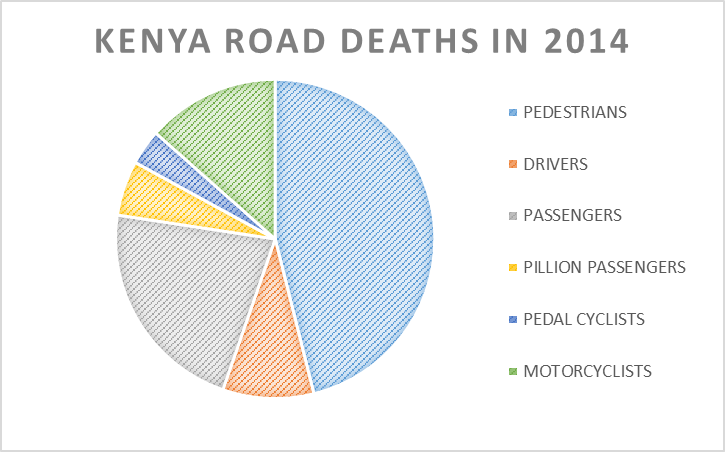 Pedestrians make up the overwhelming majority of deaths caused by traffic accidents in Kenya, according to the latest number from the National Transport and Safety Authority (NTSA). The total number of recorded deaths due to traffic accidents in 2014 was 2,907, but this number does not include people that died later as a result of their injuries from an accident. And it’s not just deaths. Accidents can leave those involved seriously injured, leading to physical disability, job loss, and high medical expenses. Even minor accidents create congestion on the road (that affects many more than those directly involved in the accident) and damage to vehicles.